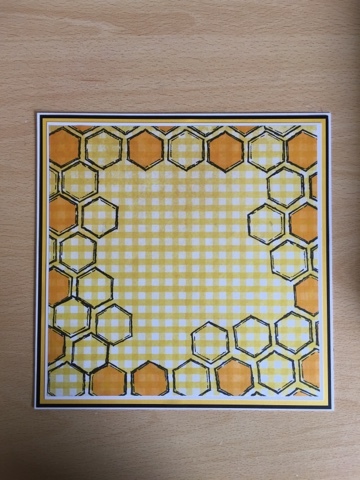 Crafting With Craig: Stylish Bumble Bee 8x8 card. Well hello, thank you for take the time to pop across here and have a look and read of my blog post. Hope you all had a great weekend, what ever trouble you decided to get up to? Did you get some sun? Wasn't the best here but however yesterday (Monday) was a cracker of a day. The sun was out all day and was very warm, so much so I took Beau for 2 long walks, a small walk at night and he even had a water fight with the water hose. I can't get enough of the stylish silhouettes & more specifically the bumble bees. 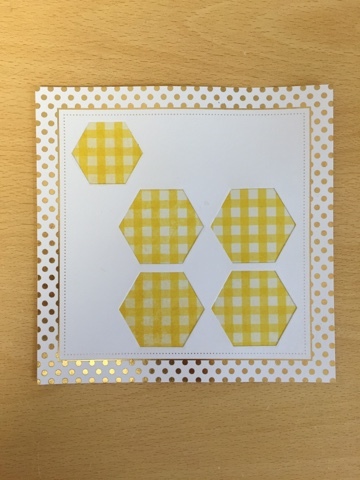 I keep saying my next blog post using the stylish silhouettes with a card or prodject make using one of the other elements and laser cut designs but I keep going back to the bumble bees haha. 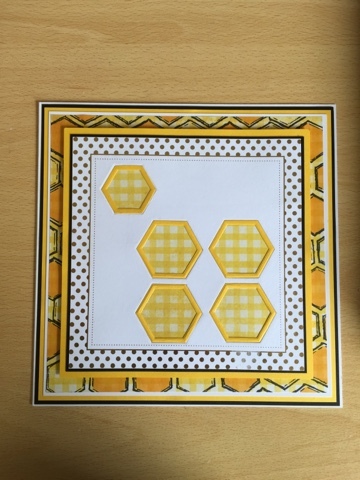 Not sure if it's the combination of the black and yellow and mixing it up either hexagon stamps. 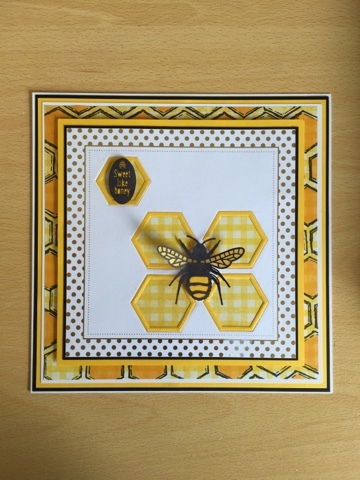 I was going to use my Brother ScanNCut but when I was in Hobbycraft last week, I picked up Crafters Companion new magazine with has some mini hexagon dies and embossing folder so I think this is why I made another card using the Bumble Bees. 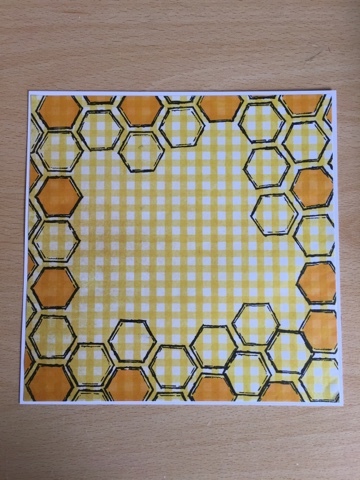 The backing of the Hexagon apertures is yellow distressed gingham patterned paper from a 12x12 paper pad I bought when I was in Michaels craft store in NYC coming up to a year ago. I love it and always like to combine the use of it with my Stylish Silhouettes. I would walk back to Michaels just to get a lot more paper pads. It wouldn't be a card of mine with out using Bazzill Basics. 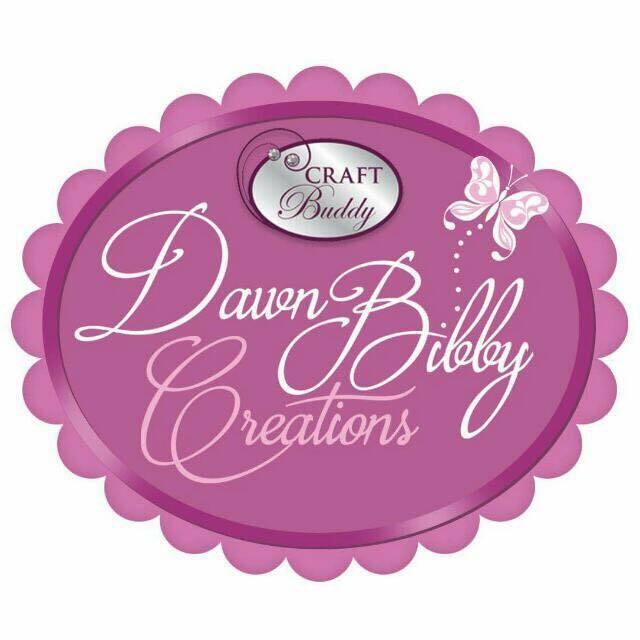 2 brands of card stock I always and only use and that's Hunkydorys Adorable Scorable and of course Bazzill Basics. When it comes to cutting my elements I always use my Fiskars products. Other than my 12" guillotine I have by Tonic Studios - all my cutting equipment is Fiskars. 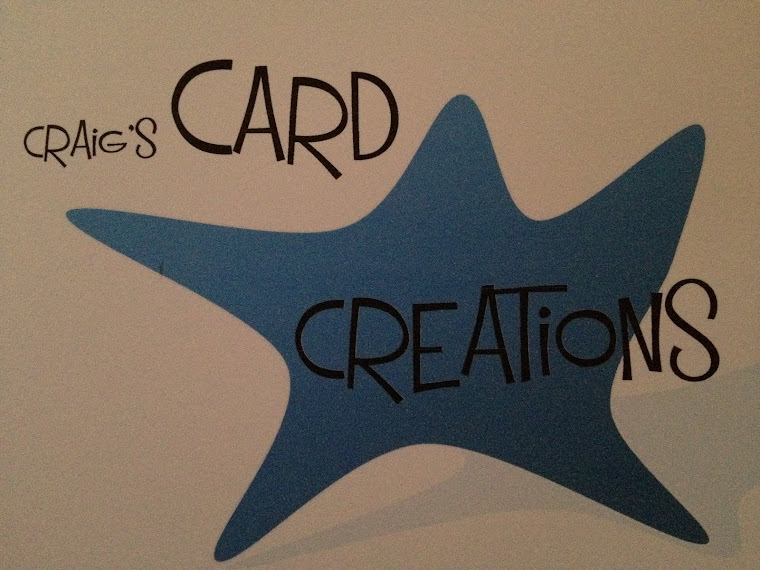 Of course it wouldn't be one of my cards without being made using Stix2 Anything adhesives. The only adhesives i use when it comes to my own cards and projects. Nothing will ever come close to beating their products and it's not something I will ever want to try. It's pointless as they can't be beaten. It's a slightly longer blog post today but I hope you enjoy it and if you do follow the tutorial, I hope you have lots of fun. Wishes on Wings Honeybee and Ladybug laser cuts. Wishes on Wings - Sentiments and Wishes laser cuts. 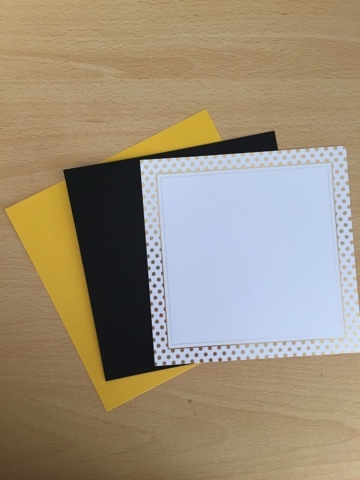 1- Mat your chosen foiled card stock onto a piece of black card stock measuring 16cm X 16cm and then onto a piece of Yellow card stock measuring 17cm X 17cm. 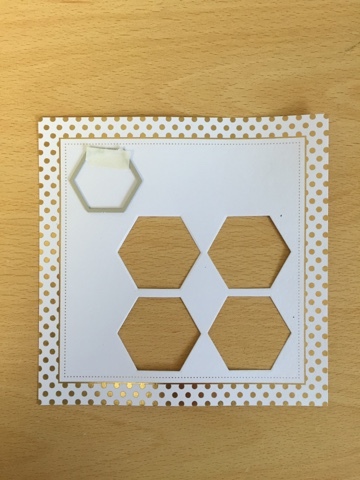 2- Using your 4 1/2cm hexagon die, die cut 4 apertures in the bottom right hand corner. 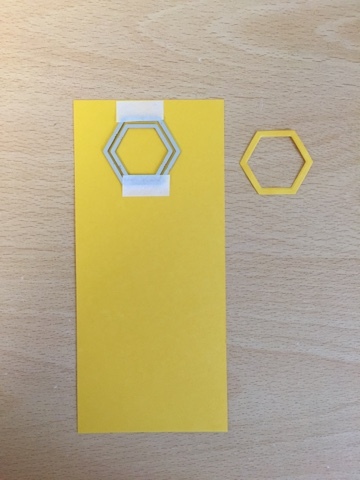 3- Take your 3 1/2cm hexagon die, die cut 1 aperture in the top left hand corner. 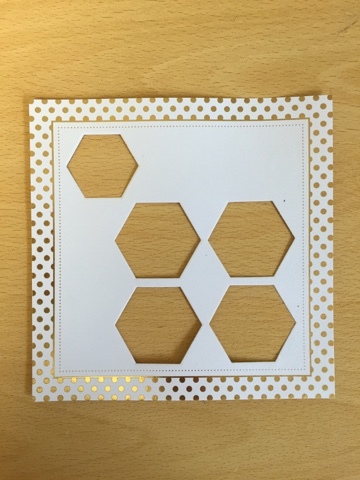 4- Using the 4 1/2cm & 3 1/2cm hexagons dies nested inside each other, die cut 4 large hollow hexagon shapes. 5- Now using the 3 1/2cm & 2 1/2cm hexagon dies nested inside each other, die cut 1 hollow hexagon shape. 6- Take your chosen pattern background paper and trim to 14cm X 14cm. 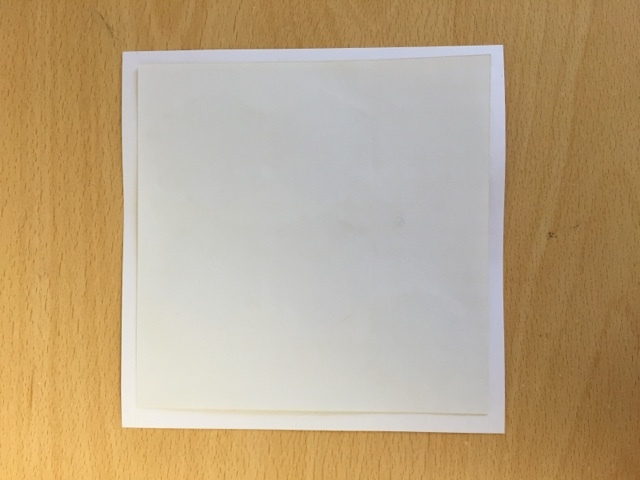 7- Attach your background paper to the back of your foiled card stock using pva glue with metal tip. 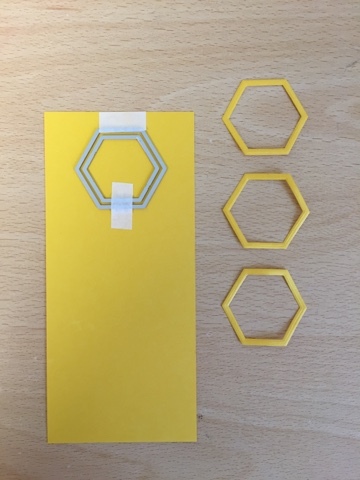 8- Take your yellow die cut hexagons and attach back into the die cut hexagons apertures that have been backed with the patterned paper. 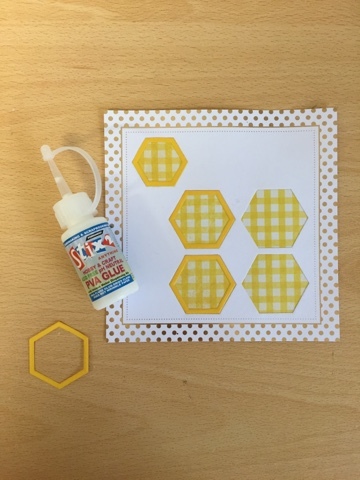 9- Mat and layer your layers using double sided tape or your chosen adhesives while adding 3D foam pads on the back of the yellow square layer. 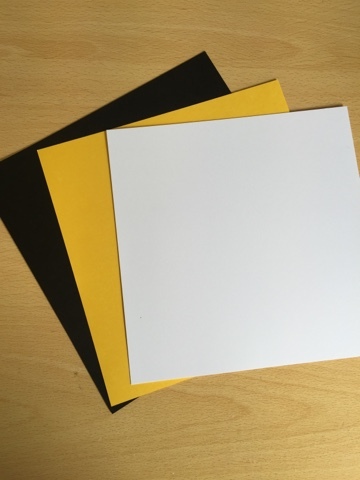 10 - Cut a piece of black card to 20 x20cm, yellow card to 19 1/2 X 19 1/2cm, White card to 19 x19cm and yellow patterned paper to 18 1/2 X 18 1/2cm. 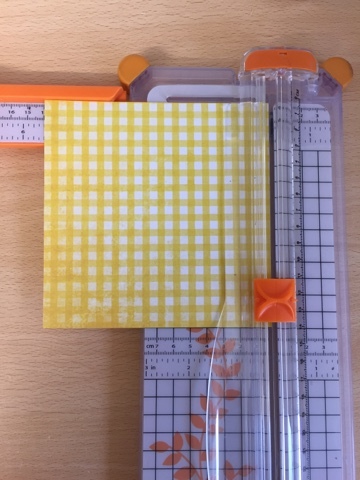 11- Take your patterned background paper and your triple honeycomb stamp and stamp the image randomly around the edges. Randomly colour in certain honeycombs with gold Promarker and mat onto white card stock. 12- Matt and layer all the card stock layers and stamped paper and attach to an 8x8" card blank using double sided tape. 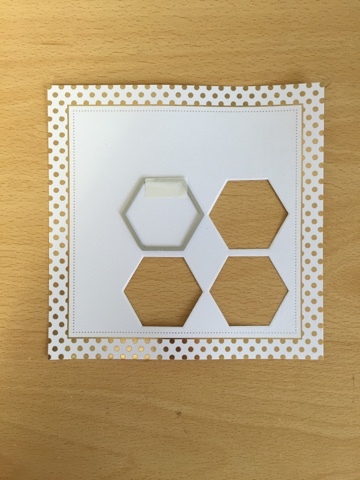 13- Take your foiled layered hexagon square with 3D foam on the back and place on to your Matt and layered card base. 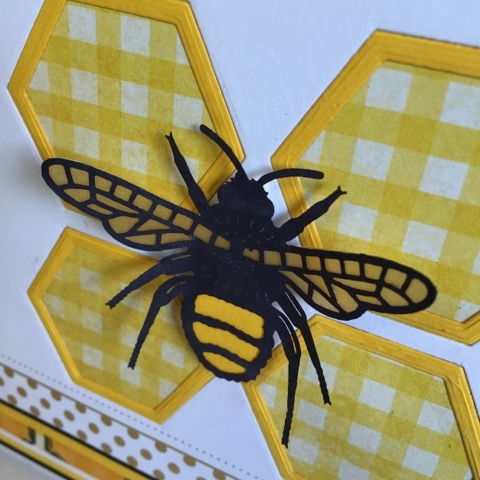 14- Using a black Promarker, colour in your laser cut bumble bee and sentiment. 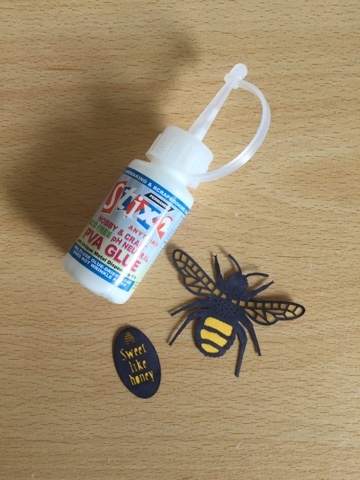 On the sentiment and the body of the Bee place a piece of yellow card stock being using your pva glue. Then behind the wings, add a piece of coloured/gold parchment paper also using your pva glue. 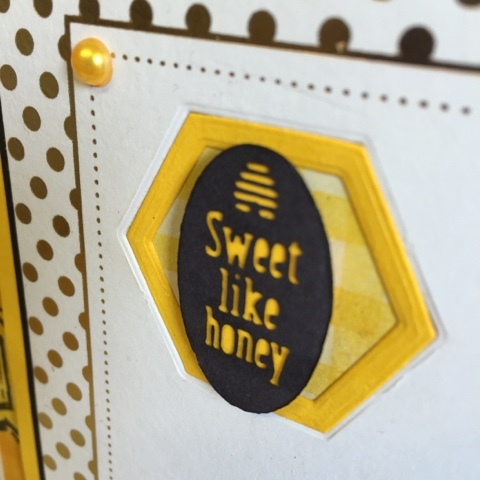 15- Using 3D foam pads on the back of the Sentiment and the bumble bee, attach to your card base. 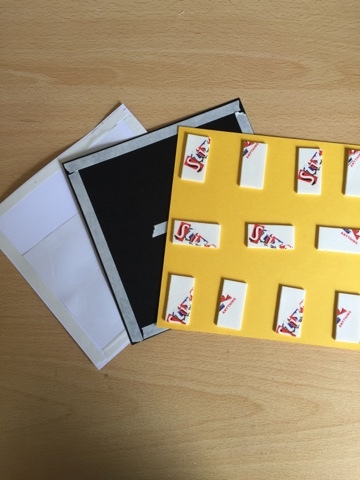 16- To finish off your card, colour in 4 White 4mm pearls with the Gold Promarker and attach to your card in all 4 corners. Thank you for stopping by. Please keep a watch out for my next blog post.